Follow the route of Leif Erickson. From Kangerlussuaq, Greenland to St. John’s, NL, via coastal Labrador—stopping at incredible Canadian National Parks along the way! Sailing south over the Arctic Circle, we are surrounded by mountains and glaciers. Greenland’s coast is sublime! Nuuk, one of the world’s northernmost capitals, offers shopping, dining, and handicrafts. Crossing the Davis Strait to Canada, we visit Torngat Mountains National Park. This jewel in the Canadian park system is the first and only national park in Canada to be staffed completely by Inuit. We'll honour this monumental achievement while hiking and exploring the deep fjords with Inuit hosts. Our southerly journey will follow the rugged Labrador coast. Across the Strait of Belle Isle in Newfoundland, we’ll roam North America’s only authenticated Norse site before sailing the picturesque coast of northeast Newfoundland. Greenland and Wild Labrador takes place on board the Ocean Endeavour. Contact us to book a trip, or view the itinerary to learn more. Explore the remote reaches of Newfoundland & Labrador in summer bloom and the incredible landscape of Greenland, an area distinguished by fantastic nature and rich biodiversity. Kangerlussuaq is a former US Air Force base and Greenland’s primary flight hub. Here we will be bused along Greenland’s longest road—less than twenty kilometres—to the port. Zodiacs will be waiting to transfer us to the Ocean Endeavour. Sondre Stromfjord is one of the longest fjords in the world and boasts 168 kilometres of superb scenery. We begin our adventure by sailing down this dramatic fjord, crossing the Arctic Circle as we go. The west Greenland coastline is a rich mixture of fishing communities, many islands and complex coastal waterways. The waters are relatively warm here, due to the West Greenland Current and the sub-Arctic location. This makes for lusher vegetation. As we enter the Arctic autumn, the tundra foliage will be turning colours beautifully. We will be making an expedition stop here to explore the wild landscape of Greenland. Welcome to Nuuk, the capital of Greenland and one of the world’s northernmost capitals. The old harbour region of town includes many buildings dating from the Danish colonial days. The modern downtown core includes shopping, cafes, and restaurants—as well as public institutions with a European flair. The Greenland National Museum is one of Nuuk’s many outstanding features; the world-famous Greenland mummies are housed here. The museum’s exhibits also offer in-depth information about colonial, Norse, and Inuit presence in Greenland—a must-see. Sailing ever-westward, like the Vikings, we cross the Davis Strait—the mouth of the Northwest Passage. Narrower and shallower than Baffin Bay to the north, Davis Strait is a haven for marine mammals and seabirds. We’ll be on the watch! Our presentation schedule will be a flurry of learning opportunities. We’ll immerse ourselves in the archaeology, history, and culture of Greenland, Nunavik, Nunatsiavut, Labrador, and Newfoundland. We make landfall on the Arctic coast of Québec’s Inuit region, Nunavik. Twenty-five kilometres upstream from Ungava Bay lies the Inuit community of Kangiqsualujjuaq. The tides here are nearly a match for those of the Bay of Fundy. Arctic flora thrives in the protected valley. The George River caribou herd, which is in critical decline, has its calving grounds nearby. A community welcome here gives us a chance to mingle with local folks and explore the hamlet. Canada’s highest peaks east of the Rockies are found in Torngat Mountains National Park. Here, the Inuit of Nunatsiavut will be our guides in their spiritual homeland. Polar bears, caribou, falcons, and eagles are among the species we hope to spot on land. We’ll also be on the lookout for marine mammals! 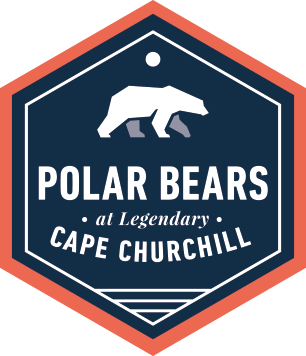 We’ll spend our time on guided hikes, searching for wildlife, visiting archaeological sites, and Zodiac cruising. The rugged, spectacular beauty and inimitable spirit of the Torngat Mountains has led to their acting as the spiritual homeland of Nunatsiavut, both historically and into the present day. Last day in the Torngat Mountains. This haunting site preserves a Moravian Mission station dating from the 1830s. The mission was abandoned in 1959, forcing the relocation of the Inuit who resided there. In 2005, Newfoundland & Labrador issued an apology to people affected by the relocations. Former Hebron residents and their kin continue to visit the site, and to hunt and fish nearby. With their help, some of Hebron’s buildings are now being repurposed as a cultural interpretation centre. The administrative capital of Nunatsiavut, Nain is the most northerly community in Labrador. A busy harbour in a gorgeous location is the centre of this bustling village. We'll visit the beautiful Moravian Church and the Nunatsiavut Building. Adventure Canada has many close ties here. 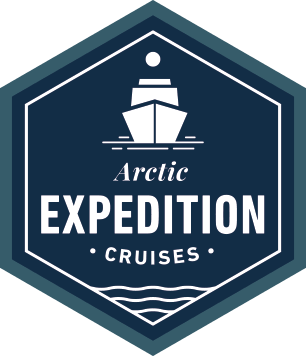 Working with local experts, we pioneered expedition cruising in Nunatsiavut. We always enjoy a warm cultural welcome. Expect music, food, and handicrafts at this dynamic visit. Labrador’s coast in this region is much more varied than you might expect. Here we find coastal barrens, high subarctic tundra, high boreal forest, mid-boreal forest, and string bog—as well as the Akami-Uapishkᵁ-KakKasuak-Mealy Mountains National Park Reserve. L’Anse aux Meadows is the only authenticated Norse settlement in North America—a UNESCO World Heritage Site and National Historic site. The archaeological remains found here in 1960 date to approximately 1000 AD. Amazingly, the location of the ruins was first established by a close reading of the Viking sagas. Today, a superb interpretive centre and reconstructions of the several Norse-style sod buildings make L’Anse aux Meadows a must-see for any visitor to Newfoundland. Terra Nova Provincial Park's amazing natural resources and location have attracted people for at least five thousand years prior to its establishment as a park in 1957. Newman Sound's unique interaction between the Atlantic Ocean and the boreal forest have made it a hotbed of activity; in the twentieth century, the land that is now encompassed by the park contained several communities with bustling sawmills. Sailing into the port of St. John’s has to be experienced to be believed. Signal Hill keeps watch as we take on our pilot and enter the world-famous Narrows. The charming houses of The Battery are always a hit with shutterbugs. The bustling capital city of Newfoundland and Labrador makes a spectacular backdrop. High on the hill sits The Rooms, a cultural museum dedicated to more than five hundred years of history surrounding St. John’s harbour. All prices USD, plus applicable taxes. All prices, inclusions, and dates may be subject to change due to circumstances beyond our control. Additional Arctic air cost approximately $1,095 - $2,395. Sample itinerary based on 2018 dates. Contact us for a 2019 sample itinerary.